The close-knit winemaking community of the small town of Bot River, is set for its annual Spring Weekend which promises an authentic bouquet of all things exceptional and exclusive to this unsung Overberg gem from 2 to 4 September 2016. 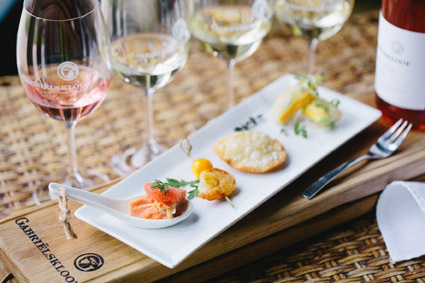 Home to eminent wine mavericks, Bot River features 11 wine farms – most of them family-owned and run – and during the Spring Weekend each of them will share something unique to their ‘farm cupboard’. Albeit olive oils, fresh produce, deli offerings, honest wines, farm fare, indigenous greenery or local talent, it will be a sumptuous showcase of Bot River’s brimming ‘pantry of delights’. “Bot River’s chilled approach to life and playful camaraderie amongst its winemakers is infectious and makes one feel part of the community almost instantaneously. 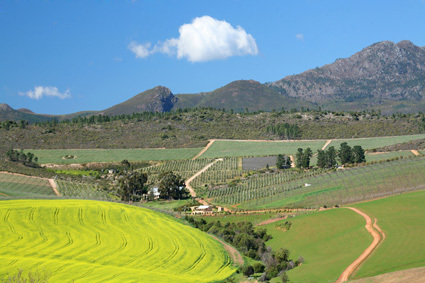 As if our genuine hospitality is not enough to perk you up, the scenic drive to our Botriviera, especially this time of year when it features rolling green pastures and vivid canola fields, guarantees to put the spring back into any jaded city dweller’s step,” shares Kobie Viljoen of Villion Wines and current Bot River Vineyards Chairperson. But this heart shaped town offers far more than just fine wines and fresh air and it is during this weekend of homegrown goodness that visitors will experience its distinct, laid-back character and quirky, country charm whilst interacting with its amicable farm owners and winemakers. “One day in our company is simply not enough so we are opening our doors for the whole weekend so that visitors can soak up, sip, savour and share in our passions and pleasures. 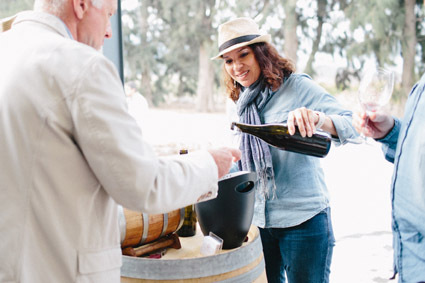 The stuff that makes us stand out from other wine routes, with lots of barrels of fun thrown in for good measure,” explains Melissa Nelsen, Cap Classique maven and creator of Genevieve MCC. On Saturday and Sunday (3 & 4 September) the farms dotted along this 10 km enclave – a mere hour’s drive from Cape Town – will entice visitors with their true talents and tastes. 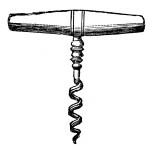 This includes a sausage making course at Luddite, famous for its technology-resistant winemaking philosophy. 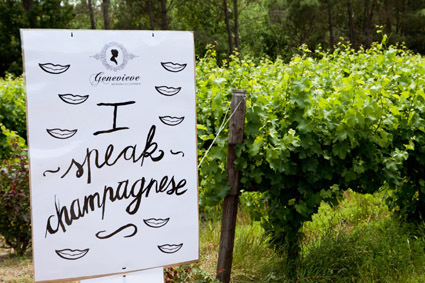 Here Genevieve MCC will also treat enthusiasts to Oysters & Bubbles all weekend long and have magnums of its newly released 2012 vintage on sale. Delicious lunch destinations en route include Gabriëlskloof, nestle atop a hill with awe-inspiring views of the Overberg – a must-visit during your spring-capades. They are famous for hearty, slow-cooked meals Gran would be proud of. During the Spring Weekend they will also be experimenting with tasty pickles and preserves in their kitchen, sell it in their deli and pair it with their elegant wines in the tasting room. #yumbucket. 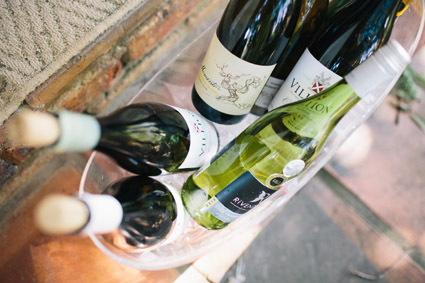 Villion Family Wines will light the fires for a laidback Spitbraai and ‘langarm sokkie’ on the farm on Saturday evening. Or swing by Rivendell Estate where a special Sunday Roast indulgence will end your weekend on a wholesome high. Wildekrans is another popular destination where one can while away the hours with glee. 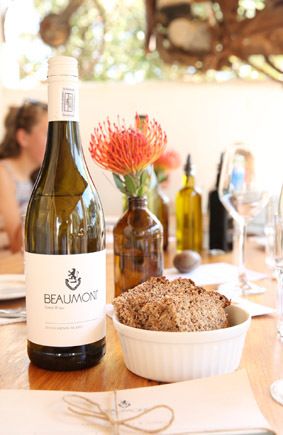 Child-friendly hosts for the weekend include Beaumont Estate, where a pink sweet stall, pink kiddies bowling action, a playground and tractor rides will keep the little ones entertained whilst adults can feast on gorgeous jewellery, plant and produce boxes, delicious food and stellar wines. 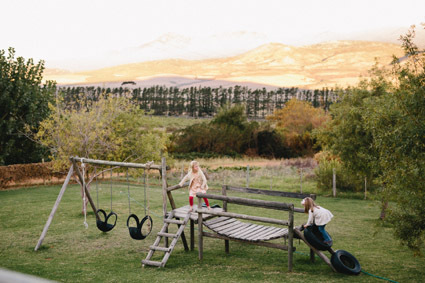 Barton Estate, all decked out with a jumping castle and tractor rides, will tempt passersby with complimentary canapé and wine or beer pairings and a wine blending competition. A highlight event of the Spring Weekend will take place at Maramanna Polo Estate on the Saturday evening where a Pink Gin and Bubble Polo affair will end off the day’s entertainment with fun-loving action, locally made gin and a bubbly bar. “We will have some bubble soccer on the go for those who are up for a quick game of ‘inflated’ action. You know those big bubbles kids usually play with on water. Imaging those… but with adults in them, trying to kick a goal through the posts. It should make for some hilarious viewing while we all sip on flutes of bubbly and G&T’s,” chuckles Penny Verburg of Luddite Wines. The Spring Weekend 2016 promises Bot River bliss at its best and all farms will be open from 10am until 4pm on both days. Tickets are available at www.quicket.co.za and a weekend pass costs R100 per adult which includes a wine glass; an informative booklet to be collected at the tourism office opposite the local hotel, and two days of bountiful discoveries. Limited tickets for the exclusive Magnum Tasting & Dinner at Beaumont cost R450 per person and include rare cellar releases, fabulous food and sheer sommelier excellence. Tickets for the Pink Gin and Bubble Polo sunset party which starts at 5pm cost R150 per head and include a welcome drink, a happy box of spring snacks and the bubble soccer action. The Spitbraai with Villion Family Wines costs R350 per person. And would you like transport? R100 per person per day, will take you round to the farms of your choice.